Chicken Noodle Casserole is a 6 ingredient meal (if you count the cheese!) that is great for those extremely busy days. Need a freezer meal? This casserole freezes great! Cheese. Chicken. Noodles. Easy to make. Yes, please. This was always my oldest son’s FAVORITE meal. When he was about 3 or 4, he would stand in the kitchen and cheer when he found out we were having chicken noodle casserole. He thought I was such a great mom. It is filling, it is meaty (meatetarian’s request) and it can be cheesy. (May I also add, that the last batch I made, I added bacon to it. Yes, I know. Delicious!!) It has it all. It is also made with ingredients you are likely have on hand. We like to serve this dish with cornbread and green beans. It just seems to be our standard sides with it. I have also made biscuits to go with it as well and that is good too. 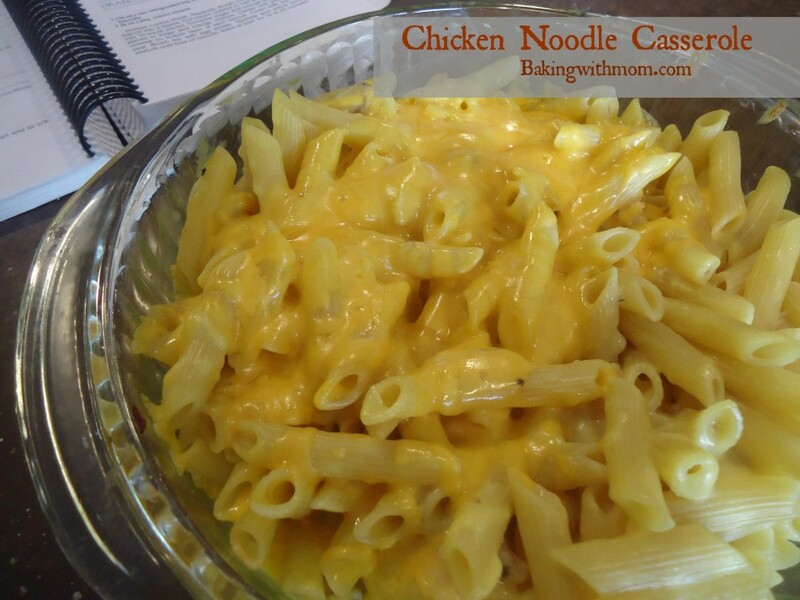 Chicken noodle casserole is also a dish I take to those who are in need of a meal. When someone has a baby or is sick, this dish whips up easily last minute to run it over to someone. It also freezes well. Gotta give it a try. It won’t disappoint! 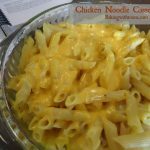 Chicken Noodle Casserole is recipe full of chicken and cheese! Great for supper and it freezes well. This is such a great and simple recipe. I was wondering if you have ever made it in bulk for a few freezer meals? If so, when you reheated the frozen casserole what temp did you use and for how long did you need to bake it? We tried something like this recently that had french onion dip in it. It was good but made it really strange so this might be better, we’ll have to try it!